This is a rectangular Bird Roofs porcelain sign. This particular Bird Roofs sign is predominantly yellow with red and blue text. 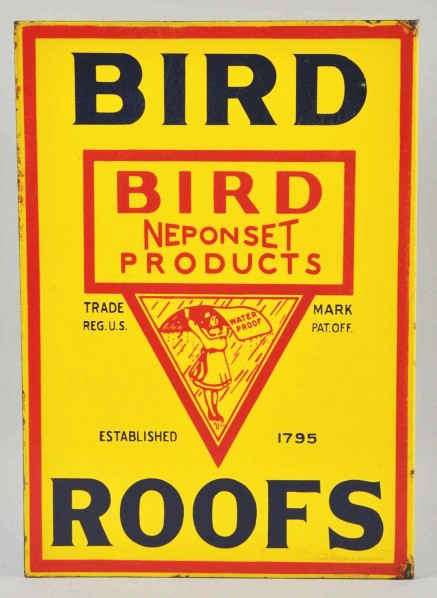 It reads, “Bird Roofs, Bird Neponset Products, Trade Mark, Reg. U.S. Pat. Off, Established 1795, Waterproof” and features a woman holding a sheet above her head in the rain.